Route 90 times in brackets are shown out of order. Bus travels via Cormiston Rd. Bus travels via Delungra St. 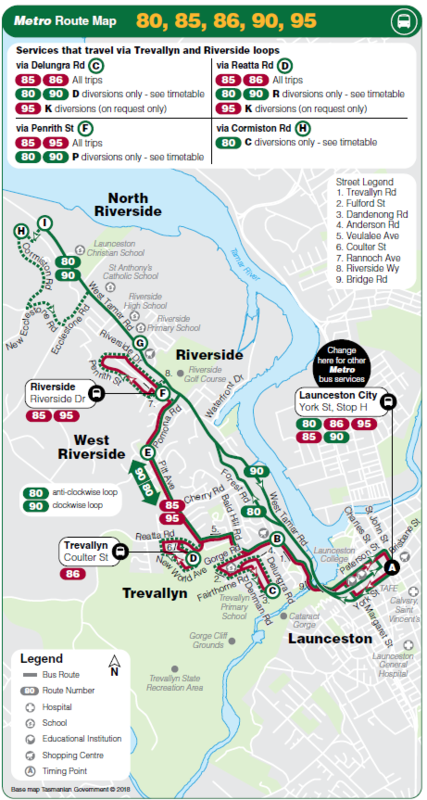 Bus travels via Penrith St. Bus travels via Reatta Rd. Route 80 times in brackets are shown out of order due to route pattern. Bus travels via Delungra Rd. Bus travels to this point on request only. Bus continues beyond this point - see inwards timetable.